Roger Sanchez is an NYC-based producer and DJ who has been entrenched in the dance music scene since the mid-90s. 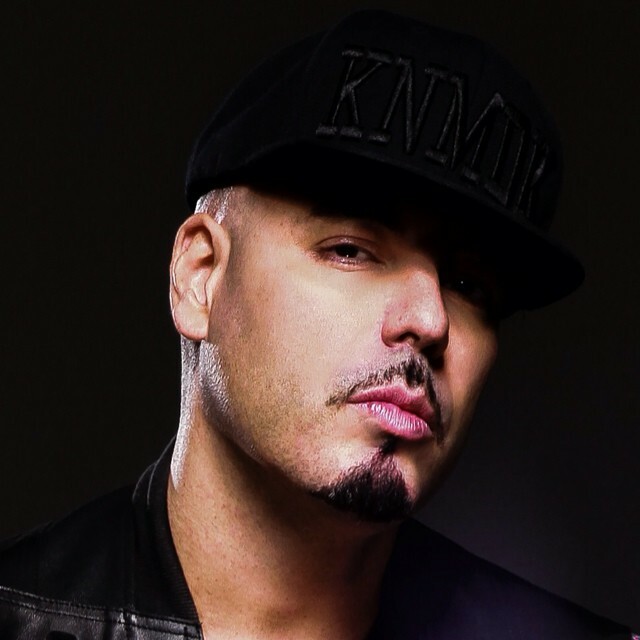 Priding himself on pure House music and favoring the underground side of things, Roger Sanchez is known as a technically-skilled DJ, a tastemaker by way of his weekly “Release Yourself” radio shows, and of course a unique and gifted producer. This year celebrates the 20-year anniversary of Roger Sanchez’s deeper, darker S-Man alias and he’s been on tour reminding his fans of where he came from. The “Return of the S-Man” tour has allowed Roger to get deeper and darker with the type of music he’s been spinning, but Sanchez has also been using the tour as a showcase of the new music he has coming out both as a producer and a record label owner by way of his UNDR THE RADR umbrella. I had the absolute pleasure of catching up with the S-Man a couple weeks ago here in San Francisco before Roger’s bangin’ show at Audio nightclub. Read below to catch a sneak peek of what Roger Sanchez has in store for his fans, why he chose to bring it back to his deeper sounds, if we can expect a return of the “S-Men”, and plenty more. MyMusicIsBetterThanYours.com (MMIBTY): So you’ve been on tour for a bit now this Summer, the tour’s been good? Roger Sanchez (RS): The tour’s been REAL good. We were at Cielo in New York City and on Monday (June 23rd) we actually did a surprise party at Electric Room which is very very cool, in the City, plays to a small intimate vibe. Before that we were in Montreal, Toronto, Chicago, West Palm Beach, Tampa, and Miami. All the shows have been off the hook. Funny enough West Palm Beach was amazing, so was Tampa. In Chicago both shows were fantastic but there was something special about that after hours show [at Walnut – LISTEN HERE]. MMIBTY: So you’ve been to San Francisco before, what do you like best about playing here? RS: Yes, I’ve been here many times. There’s a really cool vibe about the city. The crowd is always kind of laid-back but at the same time they’re really into the music. I’ve always loved the San Francisco vibe, it’s always real chill over here. A lot of people from different parts of the world, just really cool vibe, the atmosphere is always really cool. MMIBTY: So I moved out here from Boston and what’s great about San Francisco for someone like me, who does the blog but also who holds down a 9-5 job, is there’s awesome music to enjoy on the weekends – lots of it. What are you seeing from your perspective? RS: It’s really developing even more now. Obviously dance music itself is just exploding everywhere, especially in America, but I find the underground scene – the more House-oriented scene – has really had a resurgence. Between Deep House, Techno, everything that’s real underground has really had a very strong resurgence, especially here on the West Coast. MMIBTY: And that brings me to my question about the whole S-Man thing. You’re bringing that persona back, that’s what this tour is all about. Is there any specific reason for breaking that out? RS: It’s interesting. For me, I’ve had a very long career (and I’m still going, thank God) and I feel like musically things have come full circle, back to when I first came out with the S-Man, my darker alter-ego. And I’ve just been really inspired by a lot of sounds that are reminiscent of when I first started. You’ve got things coming out on labels like Dirtybird, Cuff, and a couple other labels that are really doing some amazing music and it just brought me back to when I was really in that headspace and even with my own label I wanted to start something new – I started my new label UNDR THE RADR as a subsidiary to Stealth – to really focus on the deeper underground sounds. And I said, you know what I’m just gonna take this time to really focus and go 100% on it. And you know I’ve had a lot of chart success but I’m more concerned about the dance floor and the underground. MMIBTY: So I guess what I’m trying to ask is this a reflection of where House music has evolved to or is it you trying to go down a fresh path? RS: For me, my path has always come from House music. Even when I’ve had records that have had big chart success I’ve always been really focused on my sound. I just feel like the time has come back to that place that reminds me of the energy of when I first started. And it’s exciting to me because the dance music scene has gotten so big and there’s so much money that has been thrown around, and I love the fact that we can all eat and everyone does well, but I think that a certain amount of the purity and the love of that vibe is lost on the mainstream dance music scene and I’ve kind of pushed away from that because I felt it wasn’t really me. I saw this entire younger generation retreading the steps that I did but in an entirely new way and that’s what really inspired me. MMIBTY: I feel like there’s this natural progression of the average dance music listener. I went to Australia and sort of “discovered” dance music but at that time I was more into the more Big Room stuff like Bingo Players and all that. But then I just got kind of sick of it and started finding the more underground stuff. Now I’m more into the funky bass lines and that sort of sound. RS: It’s interesting because that’s a pattern I see repeated a lot. A lot of the younger crowd starts off with kind of the obvious: the Afrojacks and the mainstream EDM guys, and no disrespect – they do what they do and they do it great, you know the Aoki’s of the world – but that kind of sound just has a certain lane right now and people get tired of it if it’s the same thing over and over again. What happens is everyone loves Electronic music, but then they get bored of it and ask, “okay what else is there?”. MMIBTY: I gotta ask about the Grammy [Roger’s remix of No Doubt’s “Hella Good” won Best Remix in 2003]. How did that come about – did Gwen’s team come to you? RS: The producer of [Hella Good] was Nellee Hooper and we’d been friends for a while and he actually hit me up and said “Hey Roger I just produced a new No Doubt album and the next single I think you’d be perfect to do the remix for”. And I said hey man if you need me I’m there. And he connected me with the label, they gave me the remix, and as it turns out it ended up being nominated and won the Grammy. And I give that thanks to Nellee because he put a lot of faith in me and said I want you to take this remix and really do it. MMIBTY: And it felt pretty good to win it right? How much stock do you put into those types of things – the IDMAs, the DJ Mag polls, the Resident Advisor polls, etc? RS: Well it was the second time I was nominated. I was nominated years ago, but they restructured the parameters and I ended up winning for “Hella Good”. When it comes to certain people I think a lot of it is very political and a lot of it is very much audiences that don’t necessarily go to clubs but who instead just look online and what have you. I think Resident Advisor tends to be relatively close to the mark most of the time. But I myself have always been focused on what my interaction with the crowd has been directly. You have to be aware of what’s going on so you can be aware of your position and how to continue doing what you do. If I let myself focus on chart positions I’d be losing my mind. I’ve been doing this for so long that there have been times I’ve been at the top of the charts and there have been times I haven’t even been on the charts. And I don’t focus on that. MMIBTY: Right, you focus on the live show. I re-watched your 2012 DJ Sounds show today. At the end you talk about turntablism. When did you start learning how to DJ, how has your live style progressed, and what do you think sets you apart as a DJ? RS: When I first started it was vinyl. And I started on old school rotary dials before I even got the Technic 1200 turntables. So technically I had to learn how to really be fast with crappy turntables. And I recommend that to anyone who really wants to learn how to play. And from those I progressed to three Technic 1200s. I was really involved with the Mason CDJs when they first came out. I was really involved so I helped develop those along with Pioneer. And I got into the fourth CDJ when I started experimenting with loops because I always liked to layer, I’d be playing two tracks, throw in an acapella, and started throwing in loops and I said you know what, the technology is there that I can actually start syncing and locking four decks and start getting creative. That’s really how I got that, and I think for me I’m very sensitive to the vibe of the crowd. Besides being able to technically do things, I remix things on the spot, I’m very connected with the audience. MMIBTY: So do you have any tips or tricks for all those DJs out there trying to turn up their game? RS: I think the first thing is always pay attention to your crowd. Have a definitive idea of the vibe that you want to put down for the night, no matter what musical style it is. Be aware of your audience so that you’re not just playing in a bubble in a vacuum and you don’t care what happens. As a DJ my job is to entertain and to educate. It’s practice, but one thing I can’t stress enough is preparation. You need to take your time, get into Rekordbox, prepare your loops properly, get all your cue points down – because what happens is that’s what allows you to have the speed to switch in between those decks. You have to know where everything is and when you hit go it goes. MMIBTY: So back to the tour, you’ve talked about some of your favorite spots on the tour so far, what are you most excited for coming up? RS: I’m really looking forward to Ibiza, I have four dates at Lio, a party called Intimate that I’m doing with a couple of friends. I’m doing some back to back with Huxley at Pacha who I’ve just done a collaboration with. And then touring all over Europe, it’s pretty nonstop it’s pretty intense. MMIBTY: Do you have any sort of goals that you’ve set for yourself by the end of 2014? RS: Releasing A LOT of S-Man material. I’m trying to release at least 1-2 tracks a month for the next eight months. MMIBTY: Speaking of S-Man tracks, your song “Dangerous Thoughts” – you did the vocals on that right? RS: Yes. I really wanted to take that and make it darker and dirtier and for me it was very much personal as well. So I said you know what I need to put my voice on that, get that whole chopped and screwed style, but it was cool and it worked very well with that bass. MMIBTY: We have a reader question – do you have any plans to get the S-Men back together? RS: I’m actually working on doing a new S-Men EP but there will be different players this time. New S-Men. I’m bringing in different people. The good thing about the S-Men was it was all about bringing in the underground vibe. And there’s a couple guys I’ve been working with recently that, I don’t want to say too much, but it will hopefully be coming out by the end of this year. RS: So I just finished collaborating with Huxley, DJ Sabb, finishing up something with Sandy Rivera, doing something with LeftWing & Kody, got something with Oliver $ coming out. MMIBTY: Favorite collaborations of all time? RS: Wow. Ummmm…. I did some stuff with Incognito that I really really enjoyed… been a lot of them… it was fun doing a collaboration with Michael Watford. I did something with Kaskade but it never came out. But our styles at the time were sort of diverging so I said let’s leave that one alone. I’m always excited about moving forward and doing stuff with different people. One of the artists I’ve always wanted to work with was Bjork, one of my all-time favorite artists. It needs to be the right time and right place though, can’t force it. MMIBTY: What’s one of your biggest DJ weapons right now? MMIBTY: Are we going to hear it tonight? MMIBTY: Are you buddies with 50 Cent? I saw a picture of you two in Vegas together. RS: You know I met him once, he’s a really cool cat. I met him in Vegas, he’s a really cool guy. MMIBTY: What DJ out there do you really enjoy going back to back with? RS: DJ Butch. I’m playing with him tomorrow in Los Angeles and I played with him in Miami with Oliver $, that was a lot of fun. This Summer I’m going to be doing a lot of back to backs. MMIBTY: Who’s killin’ it right now? RS: There’s a lot of cats. Obviously Amine Edge & Dance are killin it. MK came back, he’s killin’ it. I think Oliver $ is really killin’ it right now. Adam Beyer on the Techno front is killin’ it. MMIBTY: Who’s going to be the next big thing? I think Amine Edge & Dance are, personally. RS: I think they’re practically there. There’s a lot of guys there but I think Amine Edge & Dance are really gonna have a fantastic year. And I’m really curious to see who else is going to pop through. MMIBTY: Anything else you want our readers to know? RS: I’m really focusing on my S-Man stuff, on my label UNDR THE RADR, we got another single coming out in July called “Too Close” with GTO, I got a collaboration with Huxley (“Callin'”) and a new single with Sabb (“Hot”). Stay up to date with Roger Sanchez by visiting rogersanchez.com and by checking out his sounds below! Celebrate 10 Years of Dirtybird!